There is nothing in the new US policy laid out by President Donald Trump that can bring the 16-year-long Afghan war to an end. The much-awaited strategy that links Afghanistan with the US South Asia policy is likely to only deepen regional tensions. 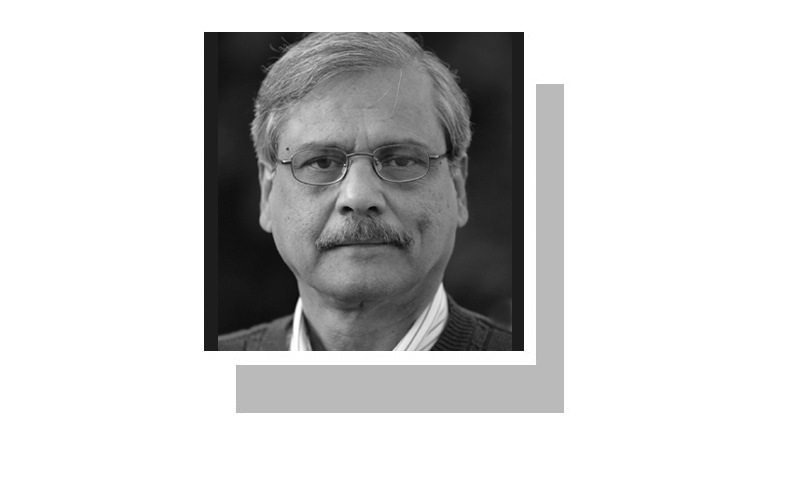 The toughening stance on Pakistan may have serious repercussions for an already troubled relationship between Islamabad and Washington. Although Trump has said that US troops would not stay in Afghanistan for long, there is certainly no clear exit plan. As in the past, the emphasis is on the military solution that may keep the US involved in the Afghan war forever. Trump has not specified the number of additional US forces being deployed there, but he has already given the Pentagon approval for 3,900 soldiers thus bringing the total American troop presence in the country close to 10,000. This marks a complete turnaround in Trump’s election promise to pull out US troops from Afghanistan. He seems to be getting the US more deeply engaged in what he had earlier described as a futile war. It is apparent that he has given in to the pressure from the American military establishment, though one tends to agree with him that complete military withdrawal would have disastrous consequences for regional security. Most US defence analysts agree that a surge in troops can only help in maintaining the existing stalemate. The new American strategy has come at a time when the Afghan Taliban insurgents have expanded their influence to over 40 per cent of the country that is plagued by rising internal political discord. There still seems to be no realisation in the Trump administration about the seriousness of the Afghan situation. It will not be easy for the US forces to contain the Taliban advance and to maintain the status quo for a longer period. What is most alarming is the spread of the insurgency even to regions in north Afghanistan that were previously considered secure. Diplomacy and political options are clearly not a priority for the Trump administration. It has been the bloodiest year in Afghanistan in terms of civil and military casualties since the US invasion in 2001. The rising spectre of the militant Islamic State group and daring terrorist attacks, claimed by the network, have worsened the security situation. The surge in US troops is not likely to shift the balance in the war significantly. The surge is more of a patchwork effort than a serious attempt at exploring the possibility of a political solution to the Afghan conflict. Diplomacy and political options are clearly not a priority for the Trump administration, though there has been a fleeting mention of the administration’s willingness to begin talks with the Afghan Taliban insurgents. There is certainly no road map for peace. Like his predecessor Barack Obama, Trump has made it clear that the United States will not be engaged in nation-building in Afghanistan. 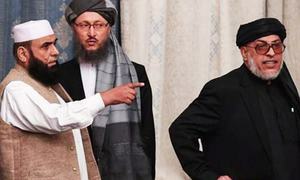 But there is also no plan to stabilise the political and economic situation in Afghanistan. The danger is that a confused and flawed policy may push the United States much deeper into the Afghan quagmire and fuel regional tensions. While assigning India a greater role, there is no plan to engage other neighbouring and surrounding countries in the effort to resolve the Afghan conflict. Not surprisingly, Trump reserved his strongest criticism for Pakistan. While acknowledging Pakistan’s sacrifices and its efforts in fighting terrorism, he declared this country a part of the problem too. It is perhaps for the first time that a US president has, publicly, warned Pakistan of severe consequences if the country does not take effective action against the alleged terrorist sanctuaries along its borders. It is not clear what kind of military and economic actions the US administration has been considering. But such threats would not help win Pakistan’s support unless Islamabad’s own national security concerns are addressed. Like the previous administrations, the Trump administration too believes in unquestioned cooperation, ignoring Islamabad’s interests completely. What has made the situation for Pakistan more complicated is Trump’s policy of getting India more deeply engaged in Afghanistan. Islamabad’s concerns about India’s economic and strategic cooperation with Kabul may be exaggerated, but the previous US administrations were careful not to encourage Delhi to expand its role in Afghanistan. Pakistani officials contend that the Trump administration has crossed the red line by making India a part of its Afghan strategy, though the Indian authorities may not be too pleased by Trump’s remarks about their country getting trade benefits from the US and not sharing the burden. Interestingly, US Secretary of State Rex Tillerson called Prime Minister Shahid Khaqan Abbasi a few hours before Trump’s speech to convey a more nuanced message to alleviate Pakistan’s concerns. But there are still lots of questions about the new American policy of lumping South Asia with Afghanistan. 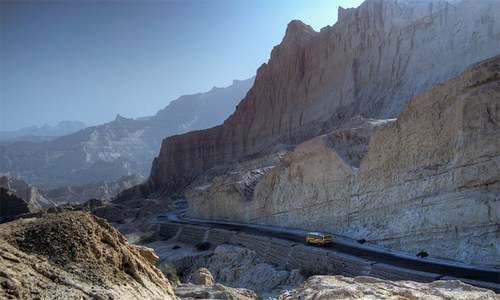 There is the implicit US threat of expanding action against the Afghan Taliban insurgents to the Pakistani border regions. There is also a possibility of drone strikes targeting alleged terrorist hideouts in the settled areas close to the tribal areas. That will surely make things difficult for Pakistani authorities to win public support for cooperation with the United States. Indeed, one must not gloss over our own policy debacle and not getting our concerns heard in Washington, and not putting our own house in order. It is a huge foreign policy failure that during the past seven months we could not establish meaningful contacts with the Trump administration. It also shows a crisis of leadership both in civil and military spheres that we could never formulate a clear Afghan policy. Our Afghan policy has largely been reactive and based on duplicity. We lost the opportunity to improve relations with President Ashraf Ghani’s government in Kabul. There is still no clarity on how we intend to deal with the new challenges arising from the toughening American stance. The political instability in the country has added to our foreign policy and national security problems. Trump has declared that the US will strive for an ‘honourable’ resolution to the Afghan war. But his strategy can neither win the war nor result in peace. Would India and Afghanistan have had a close relationship had Pakistan not been founded? Invoking more troops, apprehension on long time ally, the ally which share intelligence,the ally which facilitates transit and logistics. Certainly the war seems not to end in near future. US must move along in unison with Pakistan to tackle Afghanistan crisis, no other option is viable. I wonder why American Embassy was recently hiring so many Civil Engineers in Pakistan like they are building residence for 1500-2000 American personnel aka soldiers/spies !! With nobody admitting any fault, the US is making mistakes and Pakistan is making mistakes so it is going to be a collision of mistakes, a war of errors, a clash of wrongs with reason, peace and life the usual casualties strewn across the battlefields. An increase of a mere 3,900 troops to tackle an ambitious agenda means the US war technology has stepped into the next phase of a highly-advanced semi-automated mostly remote-controlled combat regimen where each soldier can fire massive amounts of ordnance at multiple targets simultaneously which may have required fifty or a hundred men before. Thermal imaging, electronic eavesdropping, GPS-based targeting protocols and live monitoring of the battleground from satellites and more are all fed to a single soldier in a cockpit remotely launching missiles from surface or other weapons from drones or commanding fighter bombers or the ground artillery to shoot at the assigned targets. Mr Trump did not tell us all this. And we have barely any options left,I wish we had stronger democracy in Pak. It will take time to assess Trump's new Afghanistan policy. Now America is on right plan. This is the core aim of American policy. The latest policy announced by Donald trump has a strong message for Pakistan . Mr. Trump and the policy maker of USA state department and the pentagon are looking for a safe exist and want to put blame on some won of this long war in latest decades . After spending billion and billion of dolor USA and NATO force cant secure the capital with around 150 k arms troops of NATO with latest weapon and equipment . what difference could make 11 thousand solider . 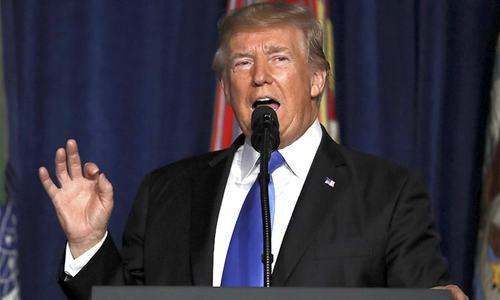 one interesting statement that Trump made in his speech was that India in Afghanistan is their partner and ally in this war that will create a serious hazards to the life of Indians which are working in Afghanistan . Hope so Pakistan will not follow the order of the ring leader of do more . Pakistan should diplomatically deals with this matter . They have to convince the world about their sacrifices and their effort in the war of terror . Trump has to do something different than previous administrations. Doing same thing always brings same result. What he has to loose anyway, in worst case scenario the situation will remain same but if it works, well, it works. @LAME DUCK "And we have barely any options left,I wish we had stronger democracy in Pak." Can you explain what difference would we make if we had more people to decide nothing??? Can you explain the wish of the people in this regard to be implemented under a stronger democracy? @SATT ... only on Indian point of view! Like said Air Marshal Asghar Khan, when US attacked Afghanistan, " one day the US will retreat in shame like did they from Vietnam". If the Russians, a neighbor of Afghanistan, could not win the war, the Americans can not. Just like any country in the world, Afghanistan also has a right to live peacefully. Allow them to live peacefully. Please America work for peace and not war. People around the globe will love and respect you if you were to start using your energy for PEACE.
"" Diplomacy and political options are clearly not a priority for the Trump administration."" Only if this was true in case of Pakistan Sir ! India is building hospitals, schools and roads in Afghanistan. I wish Pakistan could also join India in social and economic development of Afghanistan. That will allay Pakistan apprehension of Indian involvement. Change in US policy towards Pakistan is a natural outcome. US has already tried using coercion and money, it didn't work. @SATT Sorry! What is new about this plan which differs her previous strategies. Pakistan should ask USA to use Indian troops to fight on its behalf with Talibans. India and US should be man enough to fight Talibans and ISIS themselves. They have to show courage like our troops did in fighting terrorists on our side of the border. Looking into the recent past it is crystal clear that US has brought only chaos and destruction to the countries of their interventions and no peace and stability, blaming Pakistan for their misadventures is a joke of 21 century with India as their poodle. I agree with writer that Trump's flawed policy will not bring an end to this 16 year old conflict. Moreover, it will escalate regional tensions between the countries.US policy of carrot and stick will not work for Pakistan. @OJK because they are your own people. The big problem is to consider Afghanistan as a cohesive nation; which it never was, nor is. It has been ruled by regional warlords, uniting once in a while against a foreign enemy. India should stay clear of its traditional enemy, i.e. Afghanistan. However, sanctions imposed by the US and its allies on Pakistan can bite severely. Look at what happened to Iran (and before to Libya, and so on). Surely weakness of Pakistani government to address the issues. NEW Pakistani government is needed as soon as possible to work on these issues and present a better image . Trump announcement have put Indian lives at risk . Pakistan just wants the money from USA to pay its Chinese debt. Why is that Pakistan has to be reactive always? Why can't the government embark on a policy of pro-active policy that keeps Pakistan ahead of in this blame game? I hope the next civilian government projects Pakistan better in the world and internally to be ahead on such issues. You hit the nail on the head, when you say "it is a huge foreign policy failure that during the past seven months we could not establish meaningful contacts with the Trump administration. It also shows a crisis of leadership both in civil and military spheres that we could never formulate a clear Afghan policy. ". Indian lobbies and anti-Pakistan forces including lose cannon Hussein Haqani were working overtime to push that policy that Trump unveiled. Not a single Pakistani lobbyist, foreign office holders and Pakistani military representative were there to counter that propaganda that has caused that policy. Remember, Americans don't know anything about the world, they relay on the think tanks in DC. India has a great influence on all of South Asian think tank at the moment. What is your policy Pakistan now? "What has made the situation for Pakistan more complicated is Trump’s policy of getting India more deeply engaged in Afghanistan." Trump just repeated the facts that the world accepts, irrespective of the narrative within the nation. We need to read more international newspapers to understand the impression they have about Pakistan - most of it justified, unfortunately. Whatever America does it will not succeed in Afghahistan. Afghans are freedom-loving brave fighters.